Godzilla rebooted? They tried once in 1998. The results were less than spectacular. Of course, when you put Dean Devlin and director Roland Emmerich on the job of bringing a beloved Japanese icon to Western eyes, what did you really expect? Quality? Now Hollywood has returned with another take on that famous oversized lizard, Godzilla, and this time they pegged indie director Gareth Edwards to helm his/its return. It’s a smart choice, actually. Among the many recent giant creature features of note, such as Pacific Rim, his well-meaning Monsters was a low budget beauty. Of course, there is a longstanding cinematic history of humongous horrors to be considered. It seems like every time our reptilian hero stepped out, he was met by some crazy kaiju with a chip on his six-story shoulders. 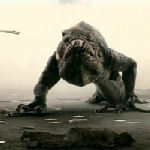 Here are our choices for the top 10 giant monster movies of all time. Most are amazing. Some are silly. 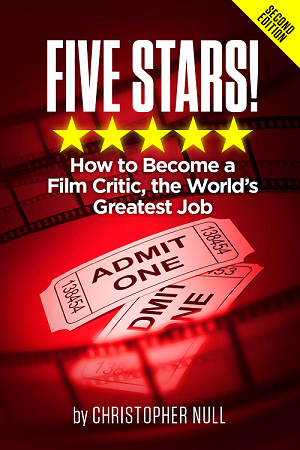 All are excellent examples of this cinematic subgenre. Few have seen this wacky Japanese mockumentary about a reluctant member of the Defense Department who just so happens to have the ability to grow to over 90 feet in height. Naturally, this makes him the perfect monster fighter, though our hero’s estranged family and limited skill set leave his effectiveness in question. There are elements of classic giant monster movie mayhem here, but also an undercurrent of slick social commentary, contemporary pop culture, social trends, and the whole marketing/PR concept of entertainment. Another unsung gem, this time set in a sleepy Irish village. When a large sea creature emerges from the deep, hellbent on destroying everyone and everything in its tentacled path, the locals come up with a cunning plan. Since the beast cannot stand alcohol-tainted blood, a few clever citizens decide to throw a massive party and get everyone good and stinking drunk. Of course, this is only a temporary fix, with our two main leads required to battle the fiend for final, booze-tinged bragging rights. A documentary crew travels through the uppermost rural regions of Norway looking for a notorious bear poacher. 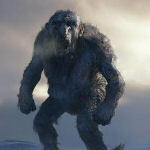 When they find their mark, it turns out that he’s not hunting animals, but instead faking his activities while he takes on a much bigger target – the country’s legendary giant troll population. Filled with amazing moments of man/myth beatdowns and a surreal sense of humor, this movie is filled with awe-inspiring effects and sequences. If you can survive the subtitles you will discover a rare treat indeed. One of the classics of the genre and part of the flood of films that came out once Godzilla proved to be an international box office hit. The set-up sounds a lot like King Kong, with an expedition to the thought-to-be-uninhabited Infant Island turns up a bunch of natives, a couple of miniature women, and one large insect “egg.” When it finally hatches, our title terror is unleashed, though it’s really more cute than cruel. Includes the classic moment when the little ladies sing to the giant moth. Proving that you can do a giant monster movie effectively in the new millennia, this found footage experiment from producer J.J. Abrams, writer Drew Goddard, and director Matt Reeves may borrow liberally from several cinematic subgenres, but it still manages to impress and amaze. A group of young adults celebrate another’s promotion when all hell breaks loose. Captured on camera, we soon learn that a giant monster (and its many parasitic cohorts) is taking over Manhattan, and no one and nothing is safe. 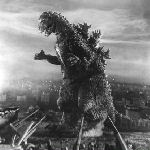 The Japanese studio Toho had Gojira (or as we know it in the West, Godzilla). 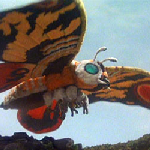 Rival studio Daiei was desperate to find a competing creature, so they unleashed a flying, flame-footed, giant turtle. Initially, he was viewed as a murderous terror, but the character’s popularity with kids mandated a shift. 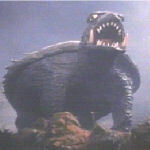 Soon, Gamera was “friend of children” and helping out whenever alien creatures from other dimensions came calling. In some ways, these films are better known than the Godzilla franchise since they became a true UHF staple. 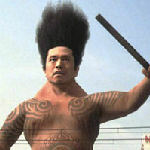 Then best known for his previous film, Memories of Murder, South Korean director Bong-Joon Ho crafted a creative takedown of the complicated relationships between East and West with this sensational giant monster send-up. Thanks to an American military accident gone amok, a large beast grows in the waters off Seoul. It’s not long before a dim-witted food truck proprietor and his family come face to face with this often comical menace. It’s up to our unlikely hero to take on the creature and save the day. 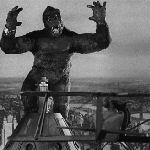 Thanks to filmmakers like Bert I. Gordon and distributors like American International Pictures, there were hundreds of hackneyed giant monster movies made in the ’50s. Most were terribly schlocky passion pit fodder, but this big studio production (Warner Bros.) stands head and shoulders above its B-movie brethren. Though the story if familiar — irradiated ants grow huge and go gonzo — the F/X are fantastic (and this was 1954) and the overall tone creepy and unnerving. A forgotten fright film masterwork. The one that started it all. Though relatively dated by today’s strict standards, this influential film was one of the first to envision what would happen should civilization come across a fierce freak of nature, and vice versa. Set within a show business backdrop and utilizing the then-revolutionary work of stop-motion animator Willis O’Brien, the end result literally scared 1933 movie patrons out of their seats. Today, we laugh at some of the over-the-top acting and hamfisted filmmaking. But you cannot deny Kong’s continuing influence. We placed everyone’s favorite giant lizard in the number one spot for a couple of reasons. 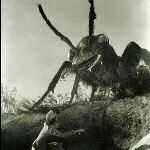 It was the first “modern” take on the giant monster movie. It was also one of the most influential franchise in the history of Japan (or any country, for that matter). Even today, we are still trying to recapture the man-in-suit magic first sprung on unsuspecting 1954 filmgoers. With its themes of nuclear fallout and radioactive menace, this remains the definitive combination of corny F/X and thematic threat.